Veolia Mobile Water Services provide water treatment technologies pre-packaged on a trailer, skid or container for maximum mobility and rapid response. Available as standard or modular systems they are pre-engineered with plug and play connections for ease of use. 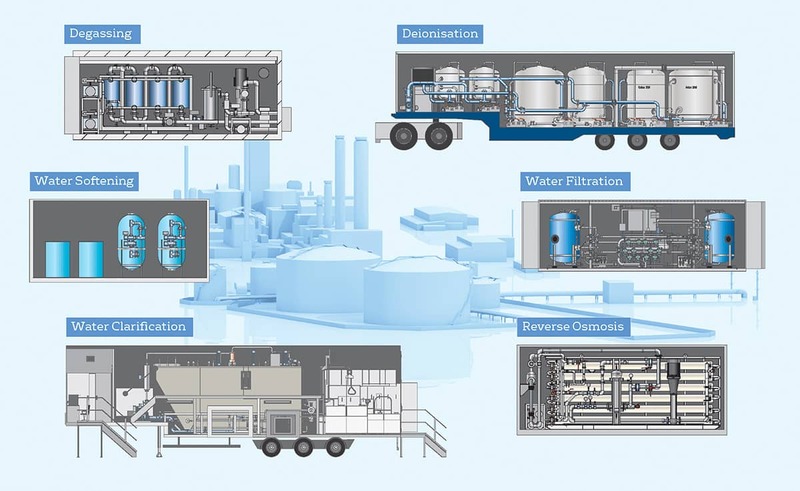 We offer a wide range of water treatment technologies including, Multimedia Filtration, Ultrafiltration, Clarifiers, Brackish Water Reverse Osmosis, Electrodeionisation, Ion Exchange, Softening, Ion Exchange Deionisation, Sea Water Desalination, Membrane Degassing, DAF, MBR, MBBR and Evaporation.